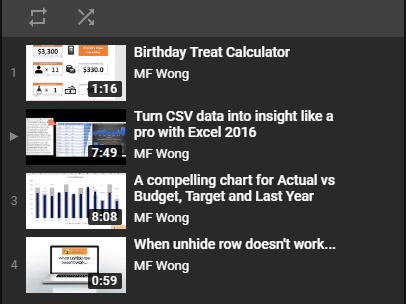 I think many people know how to AutoFit column width in Excel. In case you don’t, you can simply move your cursor in between the column headers, when you see a cross with left-right arrow, double-click. 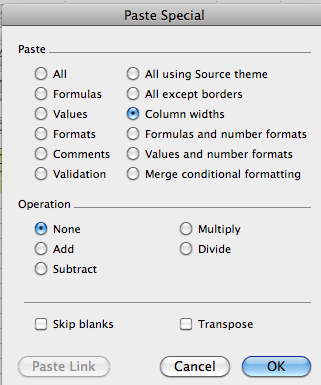 Then the column width will be adjust to fit the longest text string underneath the column. 6) As simple as that. Now you have consistent width throughout your table. 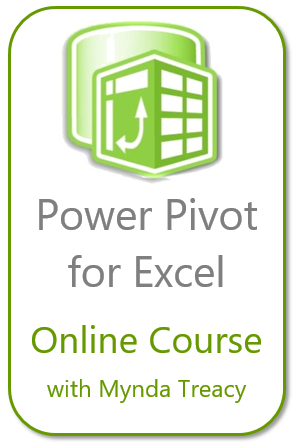 This entry was posted in Excel Tips and tagged Column Width, Paste Special. Bookmark the permalink.